A typical passenger vehicle weighs between two and three tons. That is a heavy machine! To operate an automobile, a license is required. However, knowing how to operate a vehicle does not reduce your risk of getting into an auto accident to zero. It does not matter what type of roadway you are driving along, at what speed or how cautious and defensive you operate your vehicle at. Drivers around you, as well as factors like weather and health issues, can increase your risk of getting into an accident. A motor vehicle accident is a difficult scenario to encounter and often leaves those involved feeling distressed. A car accident can often affect more than just your vehicle. Resulting personal injuries from a bad auto accident can leave effects lasting a lifetime or even result in death. Injuries can extend beyond physical leading to emotional trauma lasting for years after. Once the auto accident has happened, try to remain calm. If you can, move to a safe area and put your hazards on. You’ll want to get out of the way of other traffic. Take a moment to get into the right headspace, collect yourself, and turn off your vehicle. Exit your car or truck and check on the others involved in the incident. The other driver(s) and passenger(s) may need additional assistance. If they do need additional assistance, contact 911. If there is severe physical injury to any driver(s) or passenger(s) is important that those injured are not moved. If emergency responders are not needed, it is important that local authorities are contacted to interview those involved in the auto accident and any eyewitnesses. At this point, you are ready to start gathering vital information that will protect you and could potentially increase the payout on your claim. We don’t get paid unless you do. Fill out this form and we will contact you right away or call (603) 232-5220. Collect driver(s) and passenger(s) names. Information and details regarding the collision. Document in detail the scene of the crash. Take photos and video while other driver(s) and passenger(s) are not paying attention to you. Those involved in a truck accident or car wreck may be experiencing emotional distress. Avoid “scene of the collision” problems by being discreet about your photo and video taking. Take clear photos of the scene. This will help identify the cause of the accident as well as showcase proof of the accident, vehicle damage & property damages. You can never take too many photos! Property damage includes the outside and inside of the vehicles, damages to buildings, signs, and roadways. Property damage also includes debris from the wreck. Always include correct and accurate date and time stamps on your photos. After any auto accident, you may be feeling overwhelmed. During this emotional time, there are a few questions you may be asking yourself like… Was it my fault? Often, people say, I’m sorry, in reaction to an accident. Try your best to stay away from words that might sound like you are assuming responsibility for the cause of the car accident. This statement will make you sound guilty and can be conflicting during an investigation. If you feel as though the collision was your fault, do not apologize and do not openly admit fault. It is best to collect as much detail about the incident as you can and give us a call. 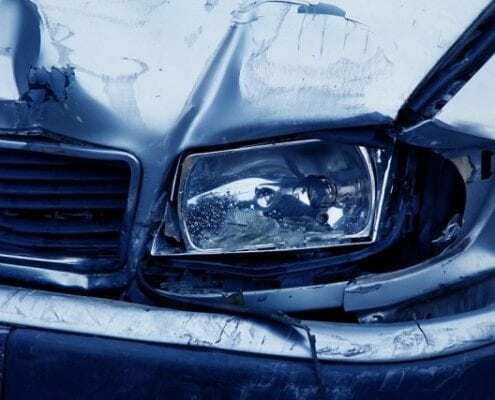 Just because you may have rear-ended someone does not mean the accident was your fault, and the information you provide could be key to determining who or what caused the accident. Get in contact with us today to discuss your automobile accident. Speaking with an officer who has arrived at the scene is important. You may be full of questions, emotionally charged and ready to tell him or her everything you experienced. The officer will only be able to speak to one driver or passenger at a time. If you are not the first one being questioned, be patient and do not interrupt. If you find yourself waiting to be interviewed, take this time to remember details about the accident, plan what you are going to say, and get prepared to be as straightforward as possible. Make sure the office was able to interview those who have witnessed the crash. Be prepared that an officer may conduct sobriety tests and issue tickets or citations. For your documentation, get the name and badge number of the officer. It is important that you know what to do with all the information you have collected. Do not post to social media details regarding the accident and make sure to grab a copy of the police report that was written by the officer who responded. 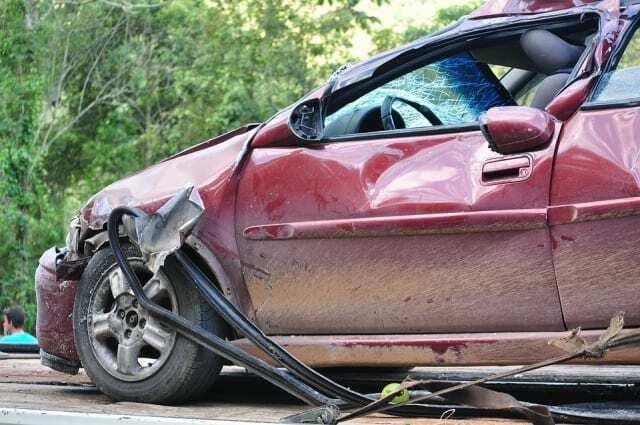 Car accidents are an as unpleasant time for anyone who is involved and stressful when you are seeking compensation for vehicle damages and medical bills. You will want to give the lawyers at Ward Law Group a call when you are involved in a car accident. We are experienced in automobile accidents and personal injury and are here to guide you through each step of the way. Our team aims to provide our clients with an exceptional level of service. You seek the greatest compensation and we work hard to help you achieve the compensation you deserve. Give us a call at (603) 232-5220 for a free consultation.